Catharine Louise Oelschlager was born on 16 February 1893 in Berlin, Waterloo, Ontario, Canada, the record of her birth entered by her father, Alfred Oelschlaeger, Clerk. She was known as Midge. Alfred Oelschlager and Lillie Duck appeared in the 31 March 1901 census of Canada in Berlin, Waterloo County, Ontario, Canada, enumerated next to Alfred's mother and sister Louise.. Other members of the household included Catharine Louise Oelschlager, Martha Marie Oelschlager. 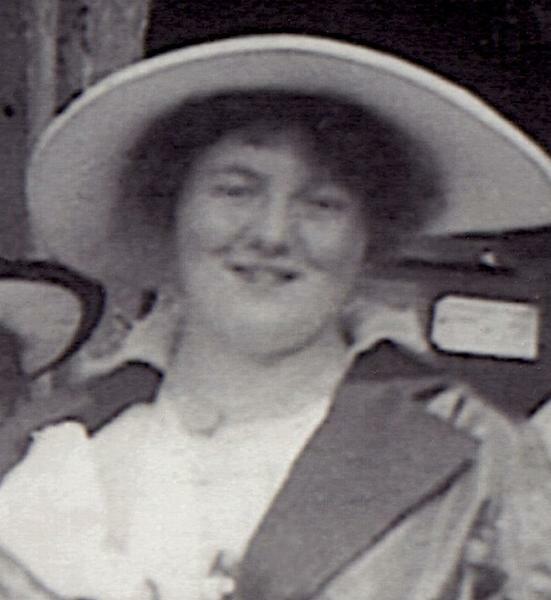 She married Vorwerk Ernst, son of Samuel Rank Ernst and Fredericka Dorothea Augusta Vorwerk, on 9 August 1916 in Port Elgin, Bruce County, Ontario, Canada, with Rev. J. R. Mann officiating. The marriage was witnessed by Harold Ernst of Berlin and Lulu M. Darling of Port Elgin. At the time of their marriage, Vor was a clerk and Midge was a school teacher. Catharine Louise Oelschlager died in September 1967 at age 74.